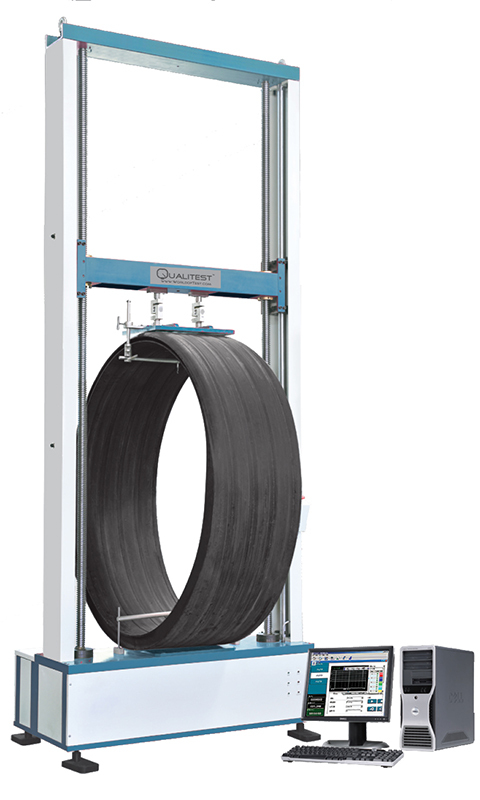 QT-RST Ring Stiffness Tester is used to determine ring stiffness, ring softness and compression of thermoplastic pies having circular cross-section. It conforms to the requirements of all kinds of plastic pipes, such as structured-wall pipes, PE corrugated pipes, helically wound pipes, etc. ISO 9969-2007 Thermoplastics pipes -- Determination of ring stiffness. It is a standard to test the stiffness, mechanical, deflection and compression properties of plastics, thermoplastic polymers, pipes, plastic pipelines. Advanced closed-loop AC servo control system enables to increase the controlling accuracy and stability. High resolution AD sampling circuit is introduced to collect testing datum, even the peak value will not be lost. 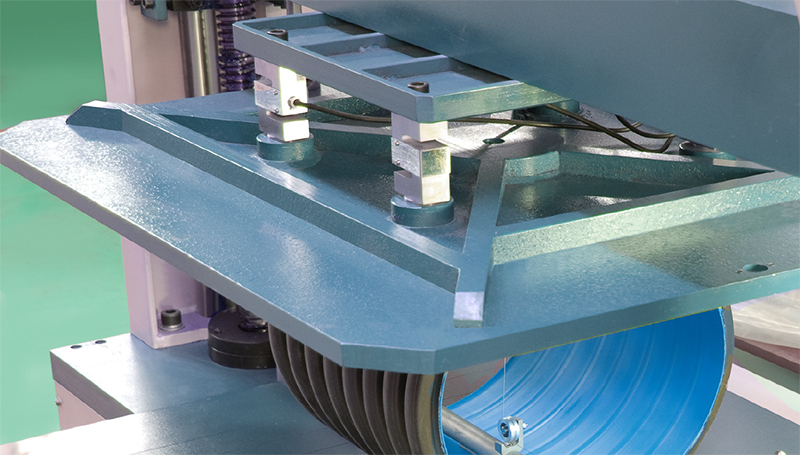 Two/Four sensors are connected in a bridge way to strengthen the deflection resist of big pipes, also reduce mangling rate of load sensor. 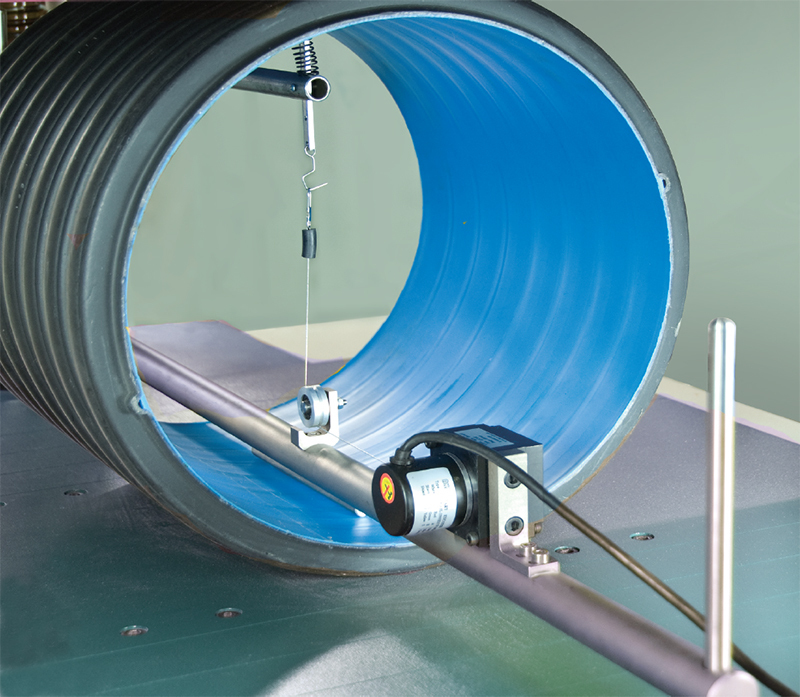 Unique design of inner diameter measuring system makes specimen easy to install and measurement correct &direct. Connect the tester to PC via RS232 to control test and download the test data, PC software may realize the functions of test data storage, statistics, analysis and test results printout. Creep test also can be realized (optional). Multi protection functions from mechanical & electrical design and software, including over-load, over-current and over-temperature.